If this is your first time reading, go check out Part 1. 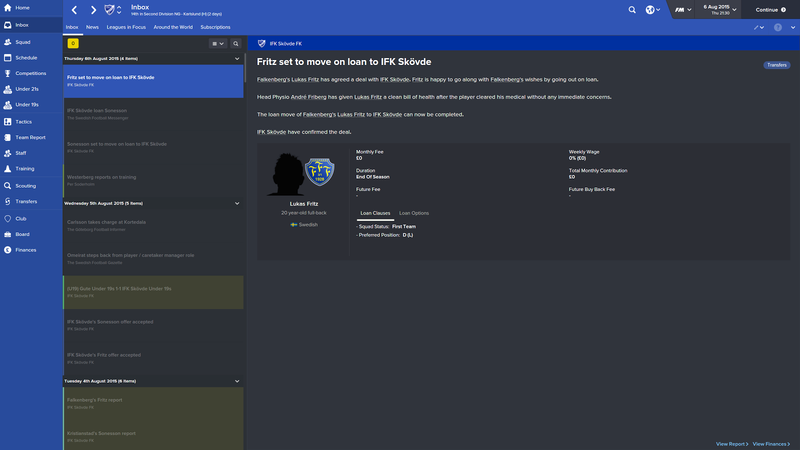 When we left off, Per Soderholm had just accepted a job at IFK Skovde, a 4th division Swedish club. Skovde are dead last in the division, and the season is well over half way over. We are going to need to turn this team around if we are to stand a chance of survival! 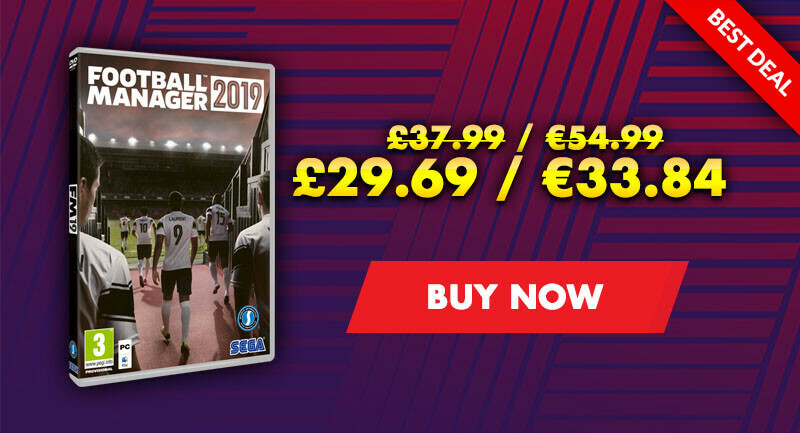 It's the start of the transfer window, but I doubt I'll be making any transfers as I have no transfer budget and about £30 to spare for player wages. 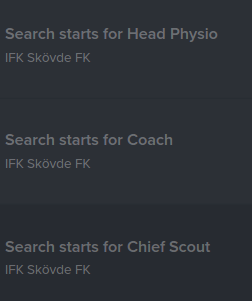 Skovde have absolutely no staff members, so I hire an Assistant Manager, Head of Youth Development, Head Physio, Coach, Chief Scout, and Scout. 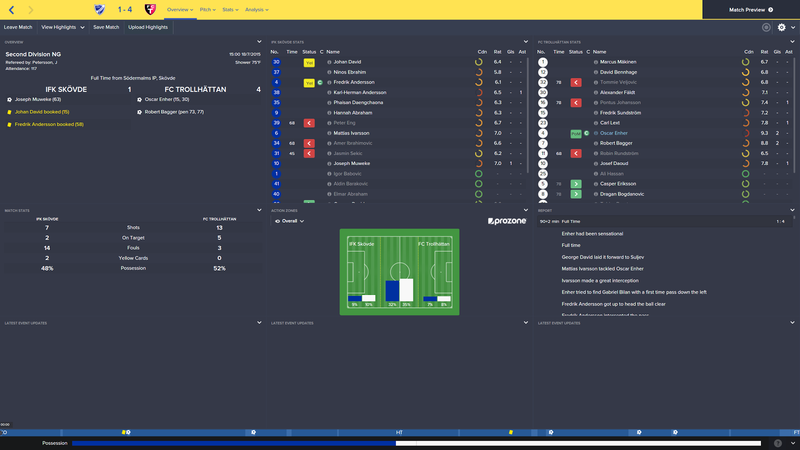 My managerial debut is against top of the table Trollhattan. Here is my starting tactic. I wanted to incorporate wingers as my squad has a lot of them, and the defensive midfielder provides good defensive cover as I will be going up against teams much better than mine. 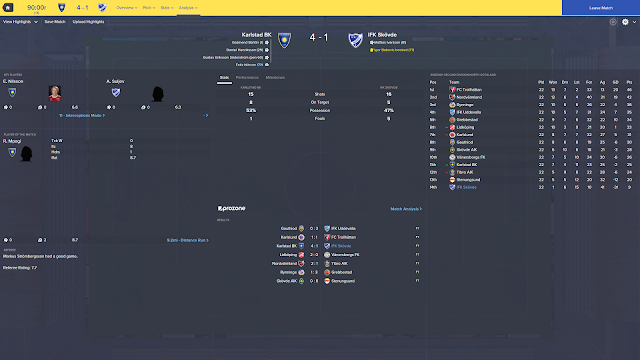 We knew it would be tough going into our first match as manager, and the result seems to go along with that. Although the match stats look relatively even, the result was never really in question for Trollhattan. A positive as our striker, Muweke, gets on the score sheet for the first time in almost 20 hours of play! Our first point comes in our second game in management against a struggling Stenungsund side away from home. Good to see our defense keep a clean sheet, but there is still much to be done as we sit 10 points from safety with 9 matches remaining. In what I thought was our best performance thus far, Skovde take an early lead but throw it away to a mid-table Vanersborgs squad. We really must be taking these chances if we are to stand any chance against relegation. 20 year old attacking midfielder/winger Suljev is really cementing his place as a star on this team. Two loan signings to sure up our defense. 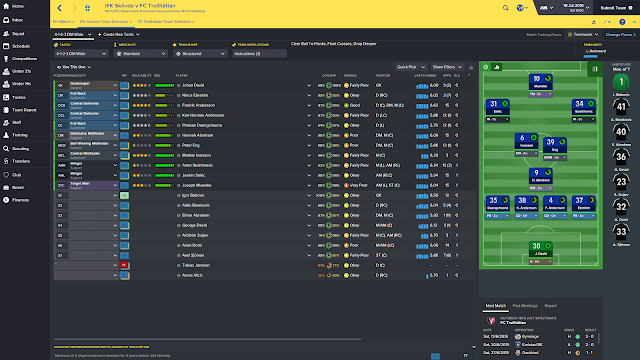 The left back is for free, while the center half costs us £20 of our £30 remaining wage budget. The two starters in those positions were previously two youth players with less than one star ability. These youngsters have 1 1/2 and 2 star ability, respectively. Absolute agony! A great performance cancelled out by a 30 yard screamer with minutes left. If we don't get a win soon then our tenure in the Swedish 4th division may be a short one. 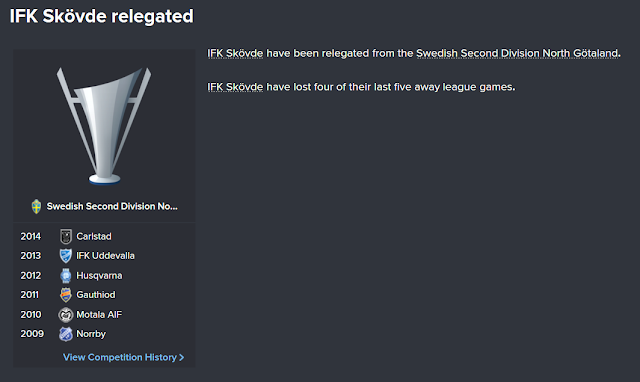 With 7 matches left, things aren't looking good for Skovde. 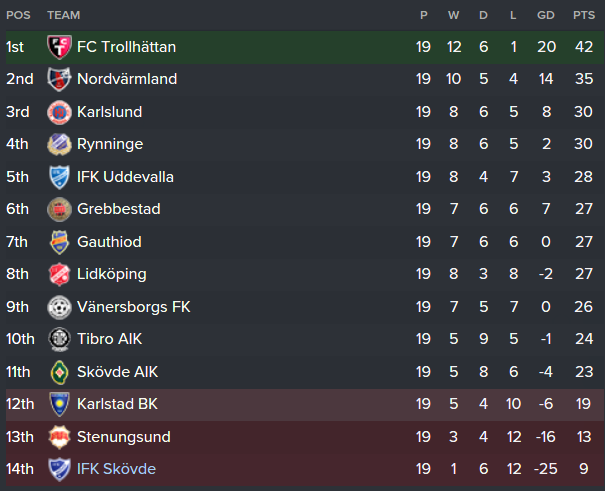 Even if we miraculously gain 11 points over Karlstad BK, we still face a relegation playoff. We secure another loan signing to aid or final push for safety. 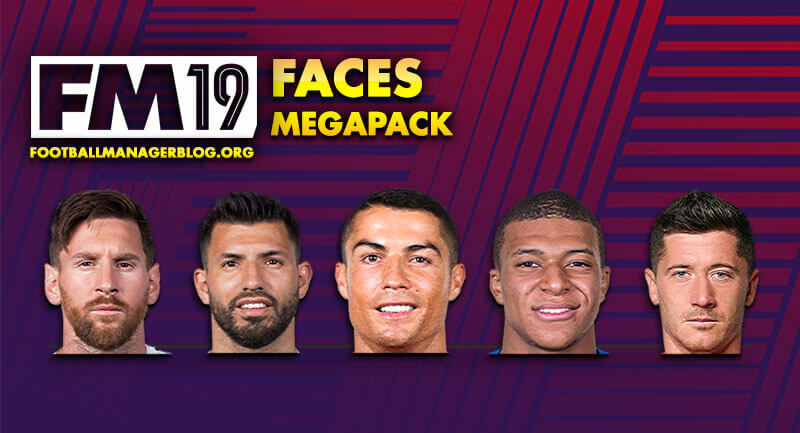 Karakassis will slot into the first team as our CM, even though his current ability is only 2 stars. 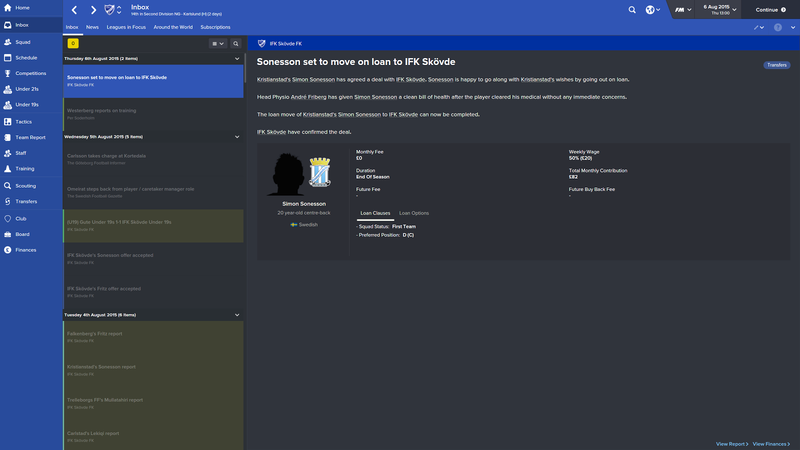 Another free loan signing, this time a 2 and 1/2 star right winger to buffer our squad. Despite playing well once again, we concede to defeat. I guess in football it isn't just about the performance, it's also about the end product. As you can see, our finishing has not been up to scratch. This result means we are now 13 points from safety with 6 games left (max 18 points). It will really take a miracle now! ESPN have me at 5-1 odds to be sacked, which seems about right. I've had the boys playing decent football during my tenure, but that doesn't hide the fact that we still haven't won a match. A local derby match against a team that we share our stadium with ends in a disappointing loss that takes IFK Skovde's winless streak to 18 matches. One more loss will see us mathematically relegated. 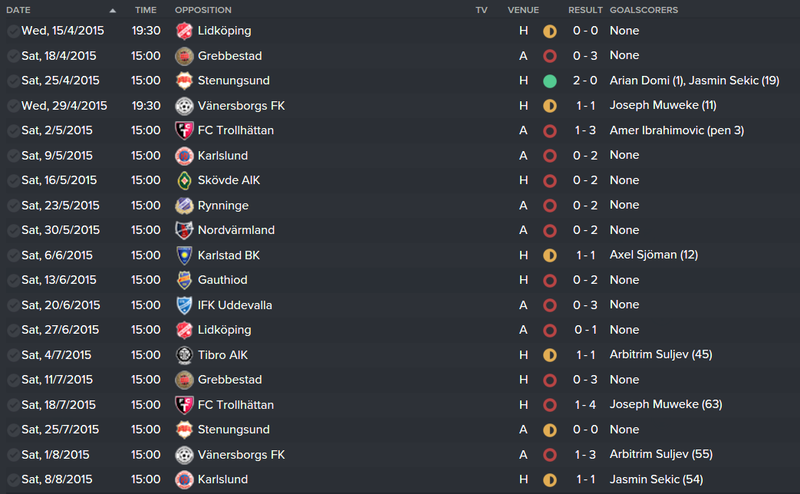 We got on the scoresheet for once, but Karlstad got 4. You know what that result means for IFK Skovde! We came into our first job as manager with high hopes, but we knew it was going to be tough. We took 2 points from 7 as manager of Skovde, a pretty disappointing figure. Our squad was very depleted to start with and despite securing multiple loan signings, the squad couldn't quite put together a win. 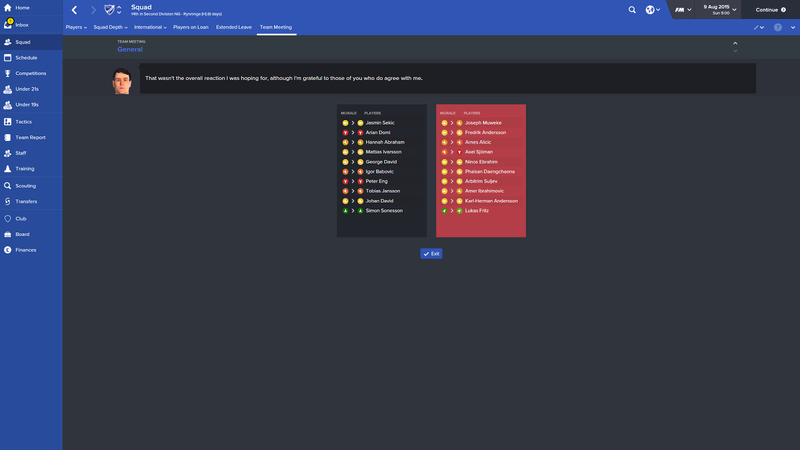 Relegation forces me to be sacked, as the division below is not playable in Football Manager. 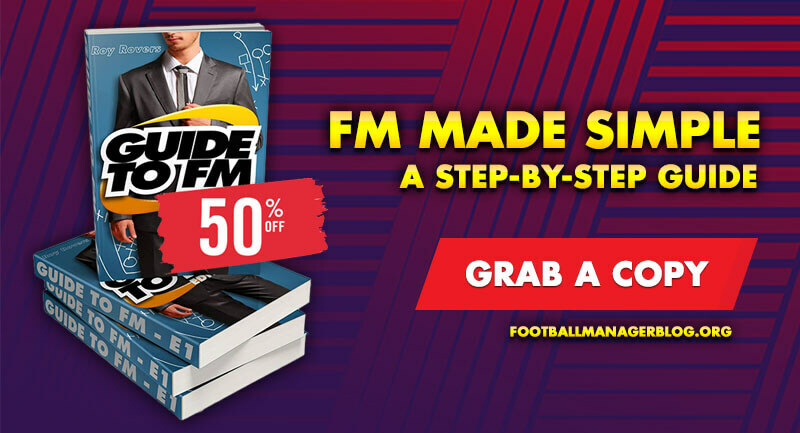 Not the way Per wanted to end his first tenure as manager, but the experience gained from the 46 days at the club will be crucial when going into his next job interview. In an interview following my sacking, I made it known that I was disappointed to end my first managerial reign by being fired, but had no bad blood between me and the club. I state that I hope to push forward with my managerial career in any way possible. 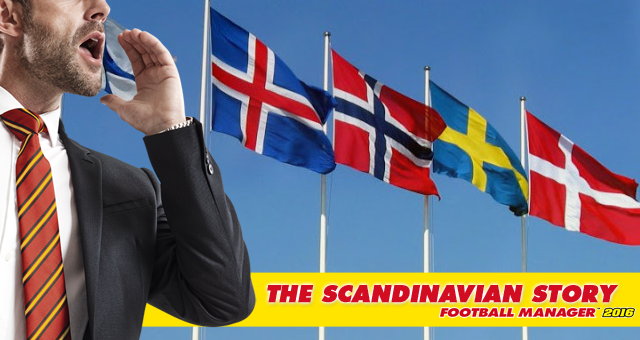 Per may have been sacked, but he notices that there are a few job openings in Norway and Sweden. Where will Per travel next? Find out next time on The Scandinavian Story: Part 3!